Improved productivity and maximized performance. We provide up-front pricing and firm proposals with cost-effective solutions. Tools and equipment such as bucket trucks and aerial lifts, arc flash safety suits and underground locators enable us to meet your needs for all types of commercial electrical work safely and efficiently. Sternberg brings the experience needed for all types of commercial projects. Through the years we have assisted in many different industries. Public and Municipal Projects, Manufacturing, Retail, Healthcare/Medical/Dental Facilities, New Construction/Buildings, Building Remodeling and Expansion, Commercial Additions, Tenant Improvements, Clean Rooms, Business Standby Generators, Service Upgrades and Expansions, Maintenance and Repair, and Electrical Troubleshooting. We also offer specialized inspections and audits, including these. As an experienced commercial electrician in manufacturing and industrial applications, Sternberg Electric is committed to improving energy efficiency and productivity of your power distribution, automation and control systems. Sternberg Electric is a skilled and qualified choice for commercial electrical installation and upgrades. Your machines and equipment are a tremendous financial investment. We are specialized in power factor, working with transformers, voltages, proper grounding, UPS, VFD, generators, lighting retrofits and all other commercial and industrial electrical. 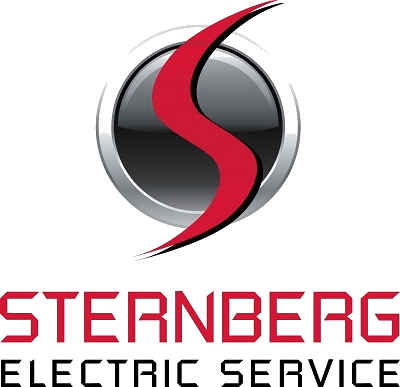 Sternberg Electric’s tenant improvement services include installation, upgrade or modifications of the power requirements, indoor and outdoor lighting, communications, office systems wiring, surge protection systems, UPS and generator systems and a multitude of other tenant improvements and upgrades. We provide cost-effective solutions for build-outs. Our design/build methods are incredibly cost-effective and fully support a partnership to assure success. The result is a greater level of workmanship and quality, increased attention to even small details and faster overall project completion. We provide detailed plans and specifications and are responsive to your goals in terms of scope, schedule, quality, and cost objectives. Sternberg Electric improves the value of your project without sacrificing quality, reliability or functionality. We accomplish this by providing alternative solutions at a lower cost and/or proving that, in some cases, a higher initial cost will save overall life cycle expense. Our value engineering has saved Sternberg Electric customers thousands of dollars, due in part to our innovative problem-solving, detailed design approach, and cost-effective method of delivery. We present options and solutions you may not have otherwise thought possible… and then deliver true value.